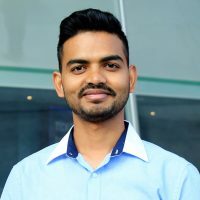 Pramod K. Sah is a Ph.D. student in the Department of Language and Literacy Education, where he has received a Four-Year Doctoral Fellowship (2016) and Li Tze Fong Memorial Fellowship (2018). He has earned an M.Ed. in English Language Teaching from Tribhuvan University, Nepal, and an MA in TESOL with Applied Linguistics from the University of Central Lancashire, UK. Pramod’s work is driven by the core values of social justice indexes, for example, class and ethnicity, in English language education policies and practices in low- and middle-income polities, often drawing on Pierre Bourdieu’s critical social theories. His Ph.D. research, a critical ethnography, looks at the broader intersection of political economy, social class, and English-medium instruction (EMI) policy in multilingual Nepal.